Investing in our children is investing in the future of our country. The best way to do this is through high-quality Early Childhood Education and Care. A shared commitment to children. The Early Child Development Funders Working Group (ECD-FWG) was established in 2009, and has come together for the first time with an Open Letter to urge Canada’s politicians to recognize that early childhood education and care is a must-have element in building a more prosperous country and to invest in quality early childhood education and care for all children across Canada. ECD-FWG is many things: a cross-Canada learning network; a deeply shared commitment to children; a link among eight very diverse foundations. The ECD-FWG does not solicit or accept applications for funding. Rather, it is a resource to its membership, supporting collaboration and knowledge sharing that improves the effectiveness of our philanthropy relating to young children. 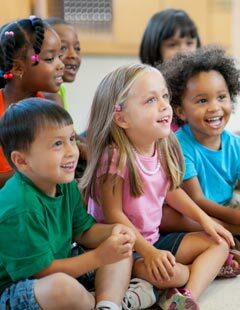 Despite the documented benefits of early childhood education and care only one in two Canadian children regularly attend a preschool program. Considering that Canada spends over 6% of its GDP on compulsory schooling, 1.1% is a modest share of our collective wealth to provide a joyful childhood for our youngest citizens. Leger, The Research Intelligence Group was commissioned by the Early Child Development Funders Working Group (ECDFWG) to conduct a study across the country to gauge Canadians’ opinions and attitudes regarding early childhood developed (ECD) and education (ECE). 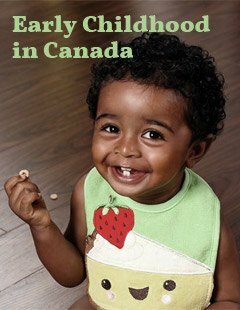 The Early Childhood Education Report 2014: It’s Time for Preschool, released on November 12, 2014 by the Atkinson Centre at the Ontario Institute for Studies in Education/University of Toronto, is the second status update in three years. It measures provincial and territorial performance based on different criteria including investments in early education and child care programs and children’s access. It also compares Canada’s results to other developed economies. 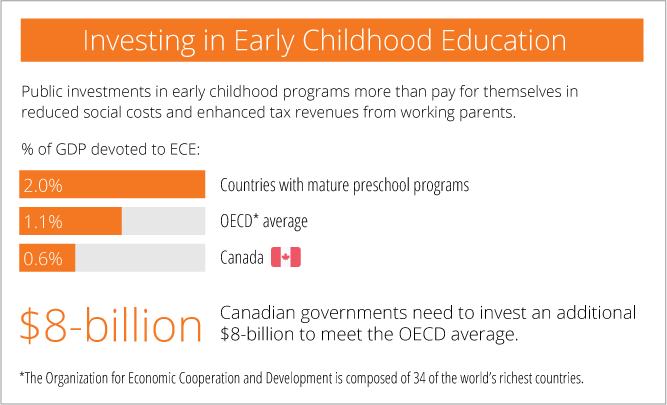 EMPOWERING THE FUTURE: Best Evidence for Investing in Early Childhood Education for Canada. As Canadian policy makers and political leaders continue to debate the value of investing in preschool children, they should note the consensus among Canadian scholars based on both Canadian and international research. We can improve children’s lives and the economic and social wellbeing of our society by investing in early childhood education. 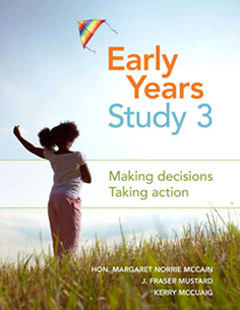 The Early Child Development Funders Working Group’s major project to date has been a shared investment in the creation and promotion of Early Years Study 3. 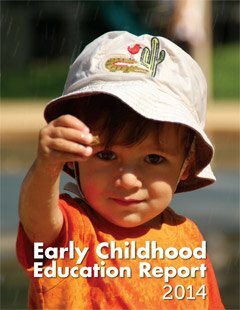 The Early Years Study 3 documents the social, economic and scientific rationale for increased investments in early childhood education. It also introduces the Early Childhood Education Report to monitor the funding, policy, access and quality of early education programming.